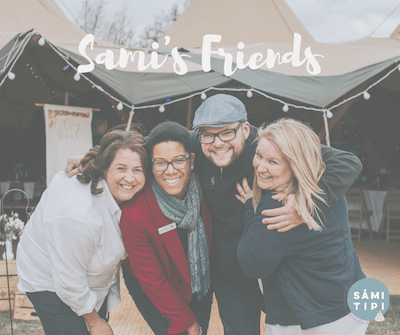 WE LOVE WEDNESDAYS!! 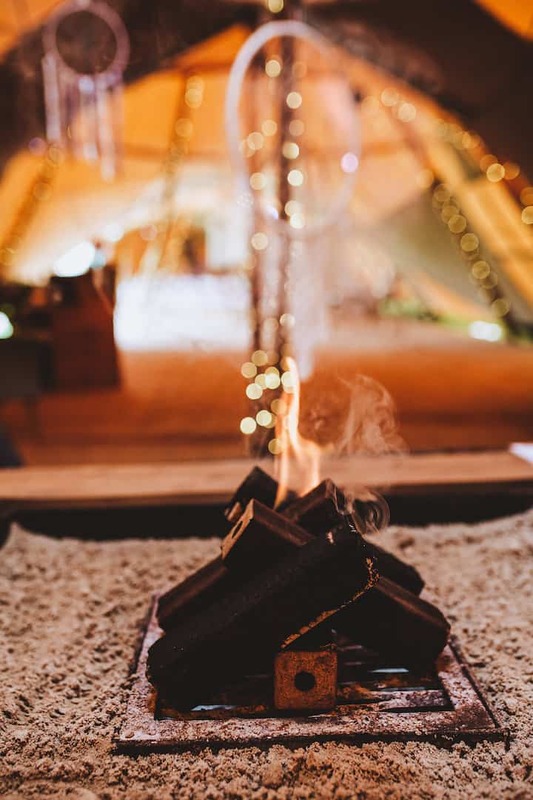 These are the days we like to share inspirational tipi images with you and today you are in for a real treat. 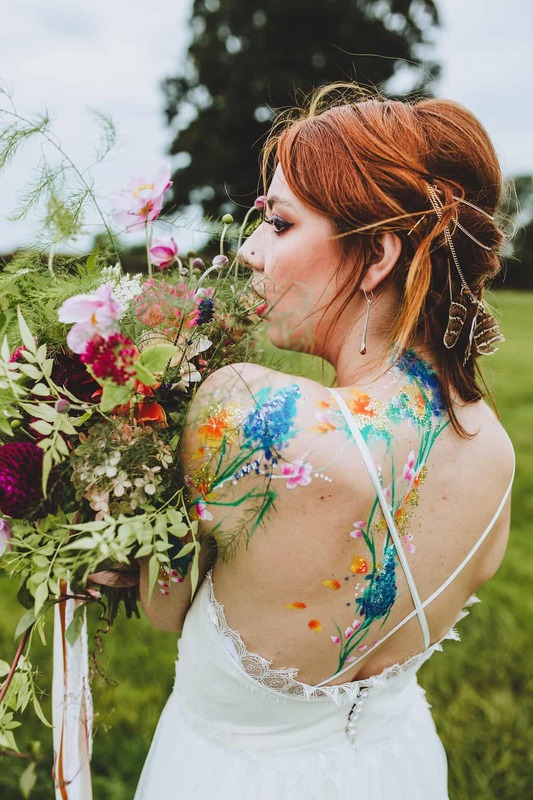 As you know we like to share our real weddings, but today I feel it was worthy of an interruption to bring to you this eye-wateringly fabulous shoot we did back in October. 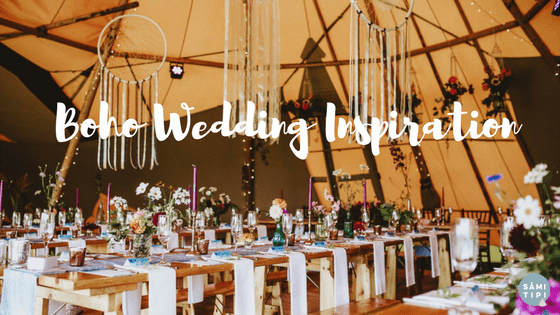 This is jam packed full of boho gorgeousness, with a mandala throw, giant dream-catchers, dreadlocked-groom, painted bride and a naked tipi. 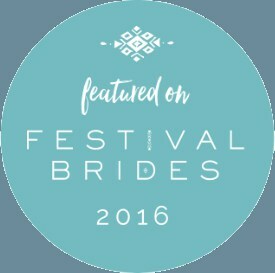 We worked with a fabulous team to pull this together (full list at the bottom). 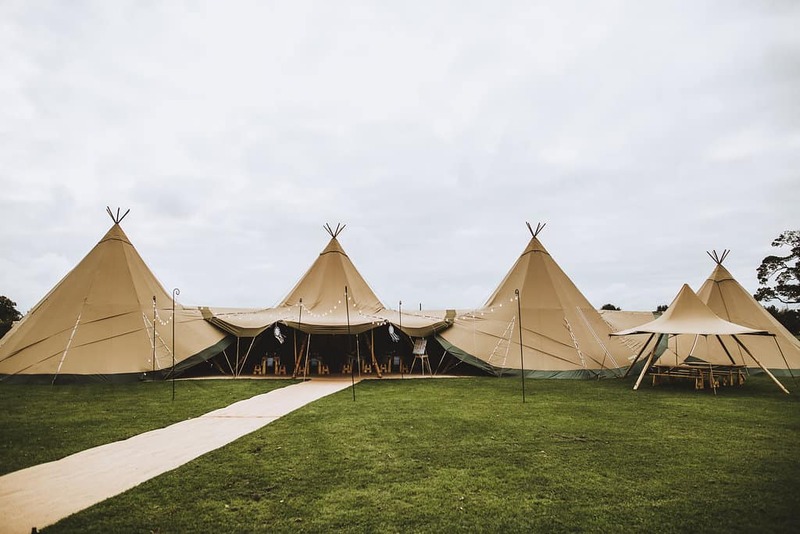 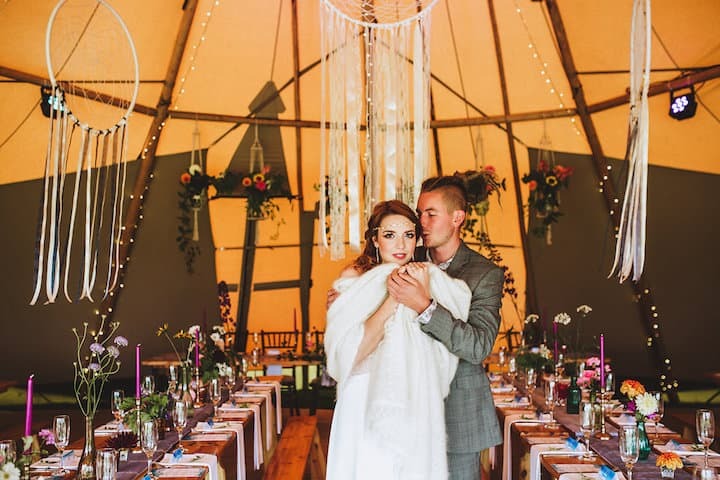 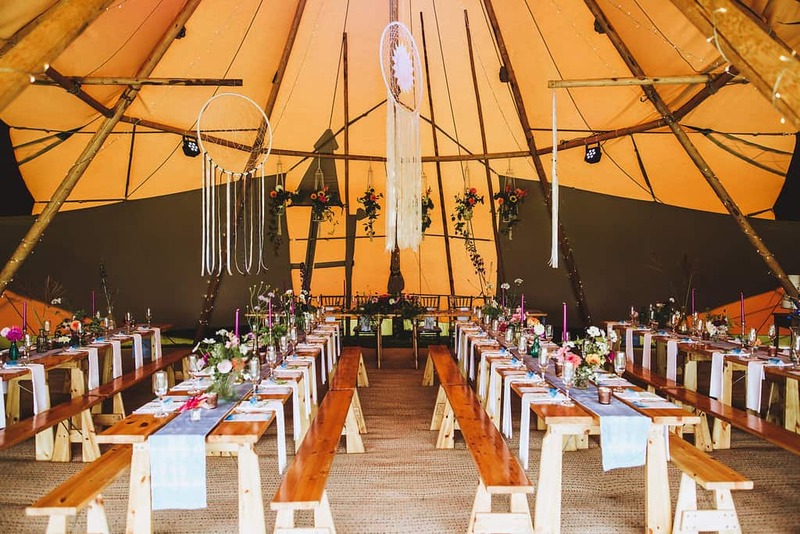 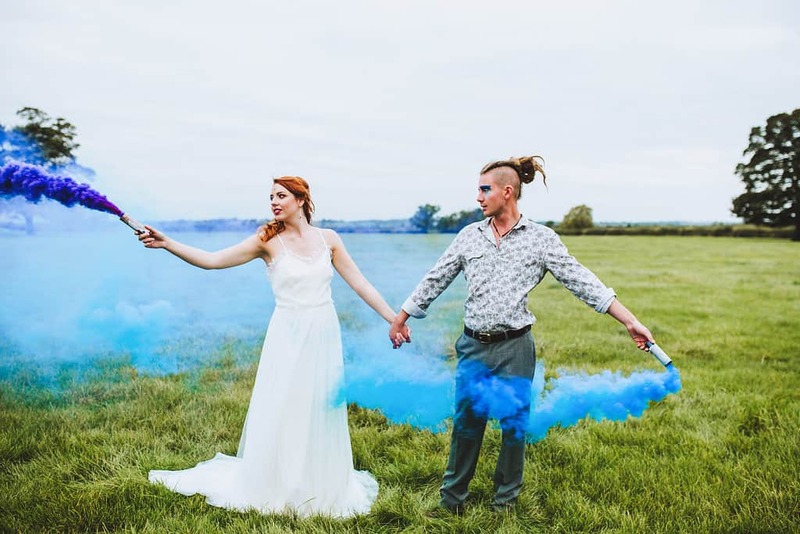 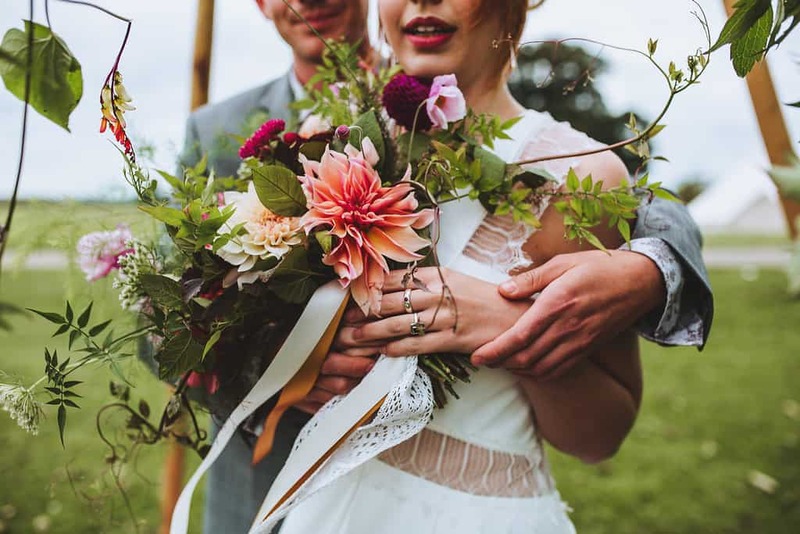 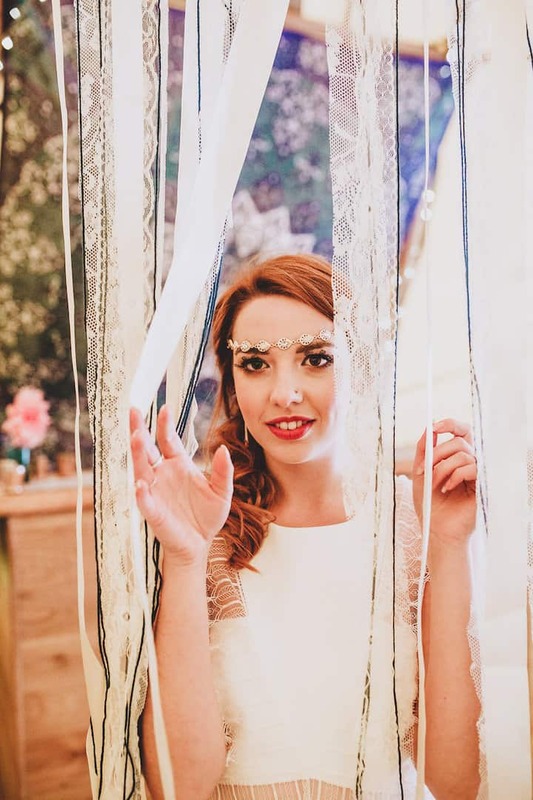 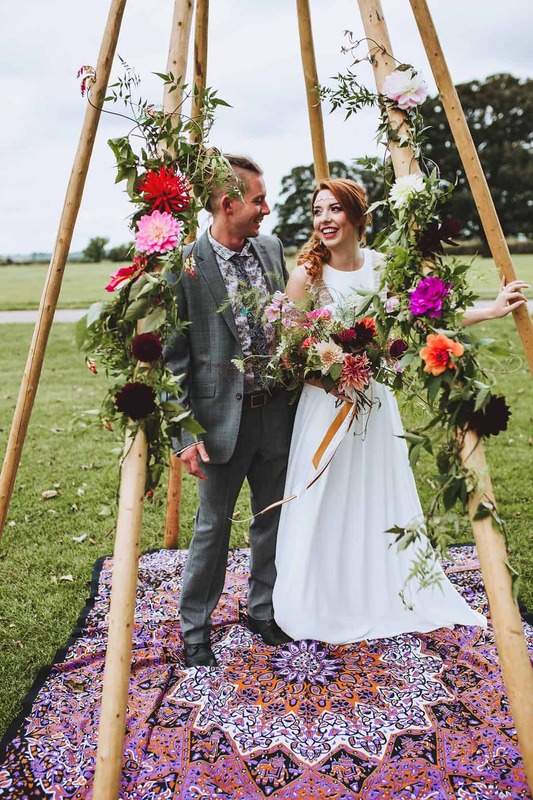 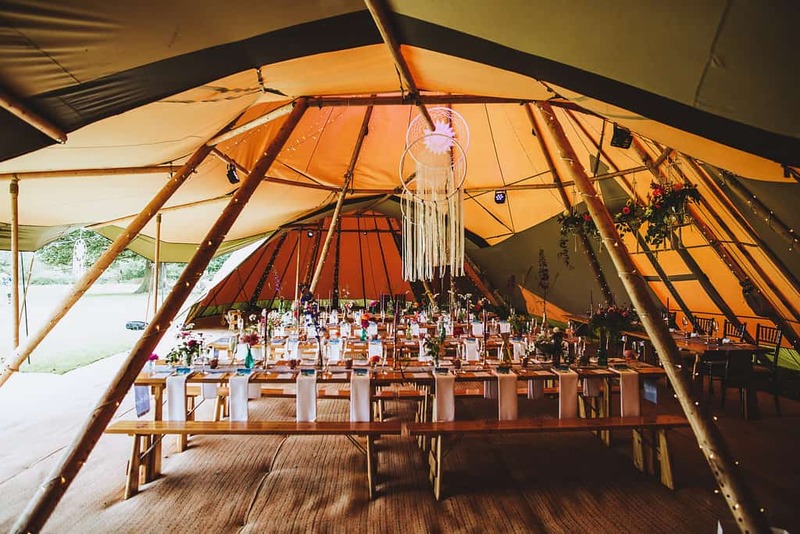 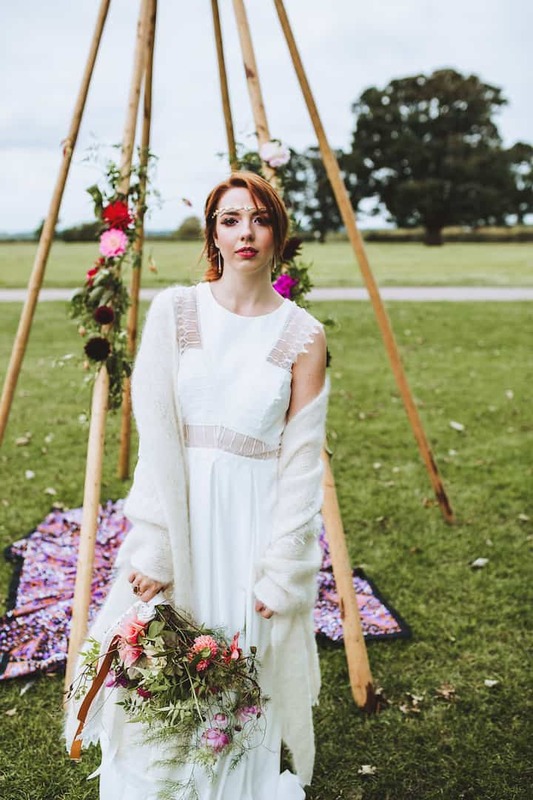 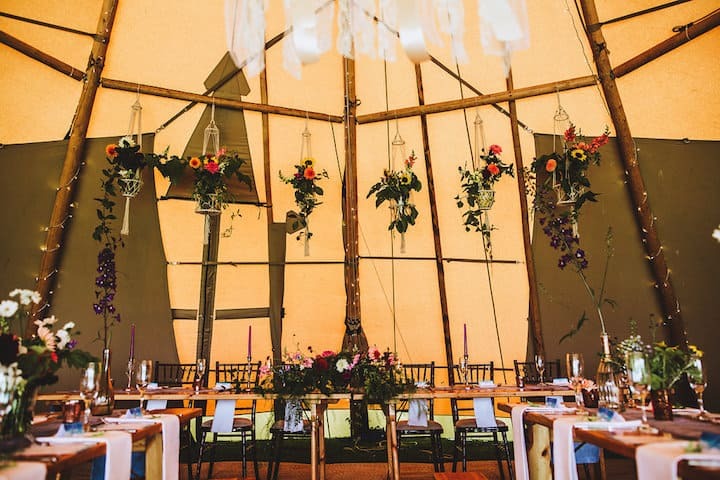 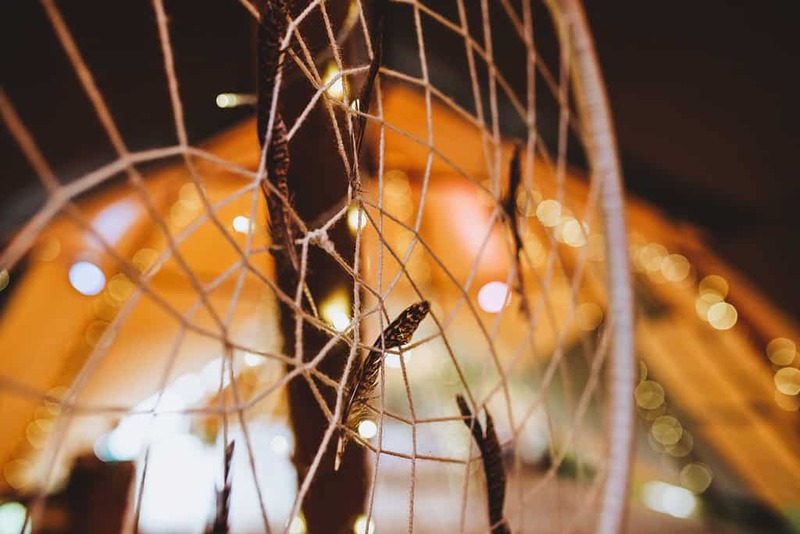 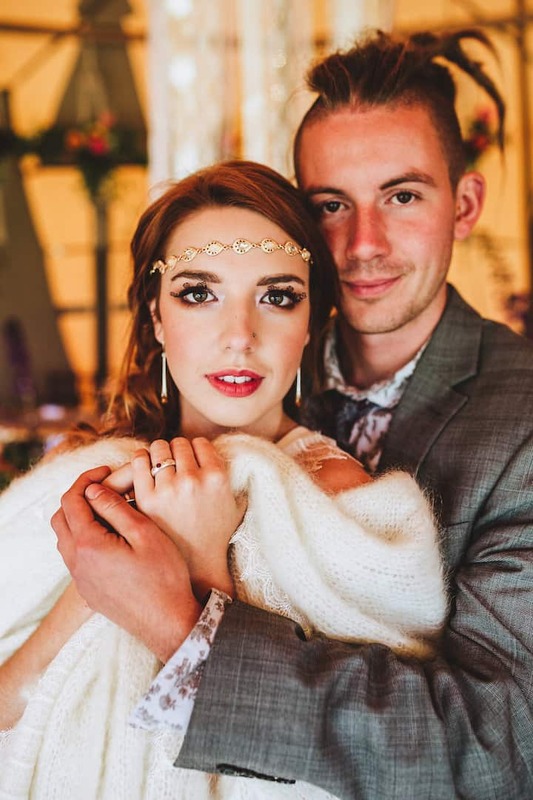 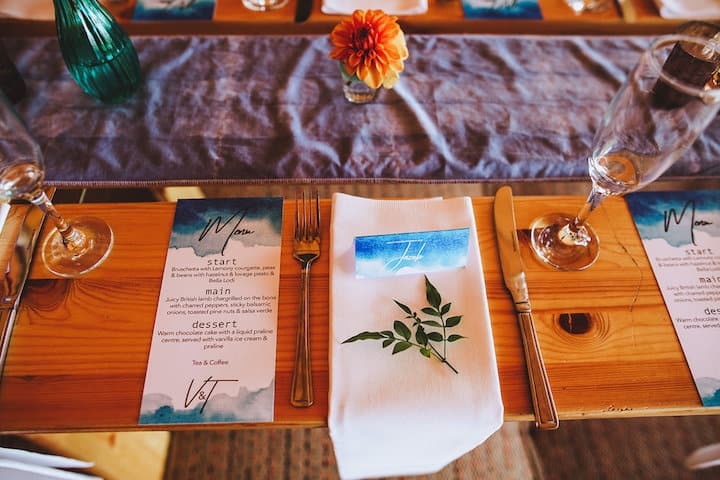 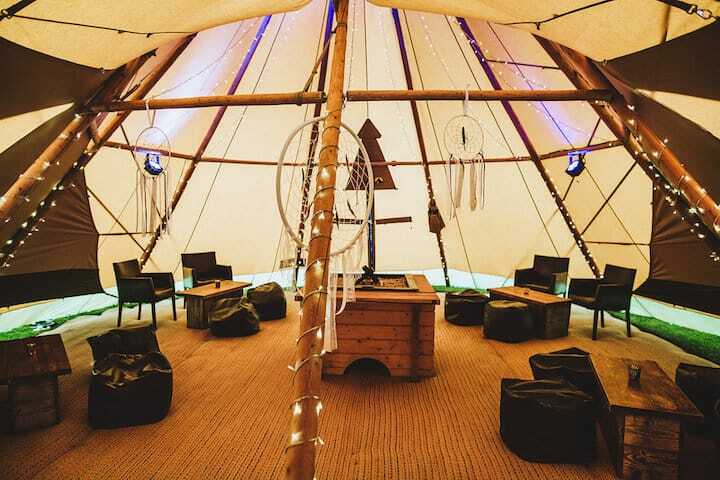 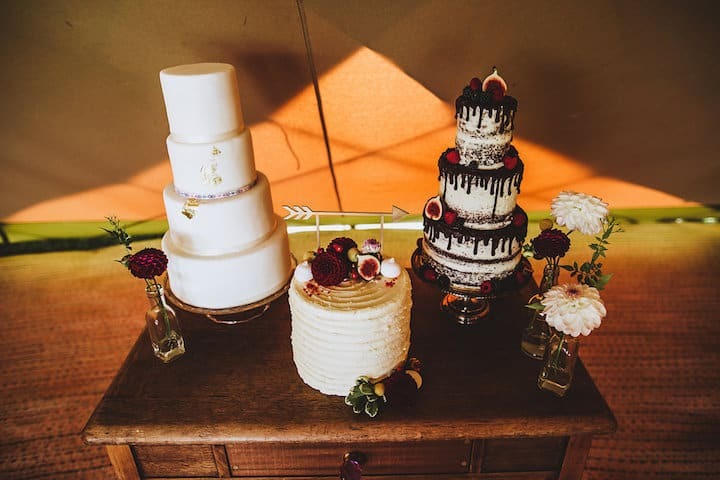 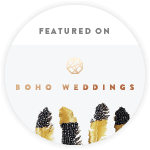 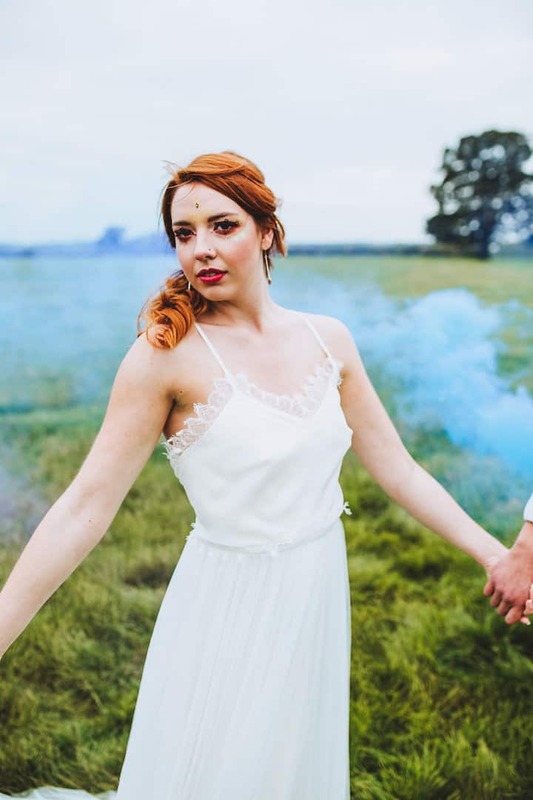 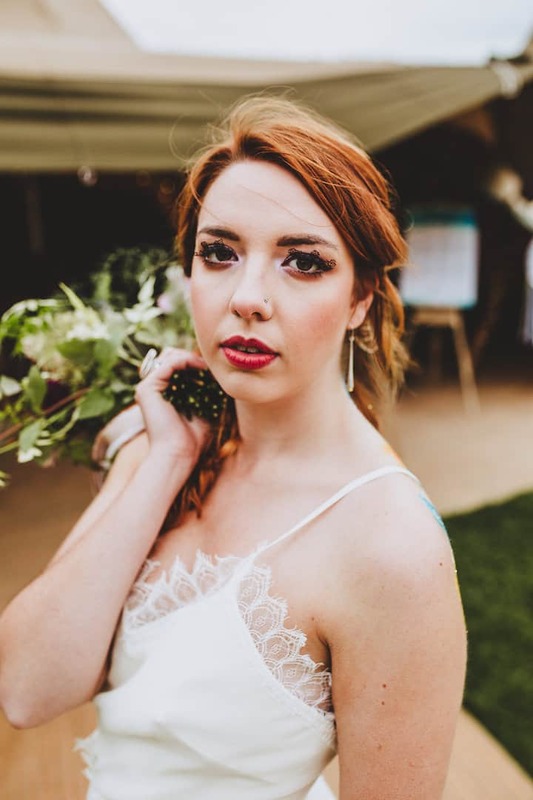 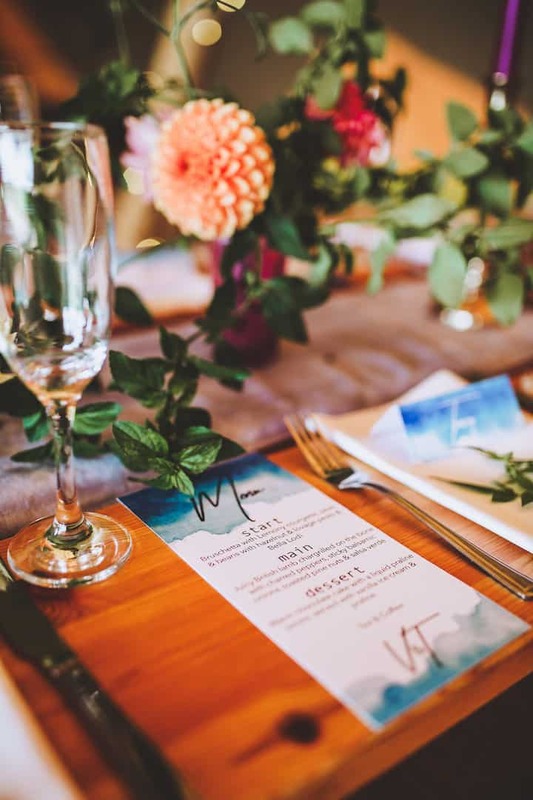 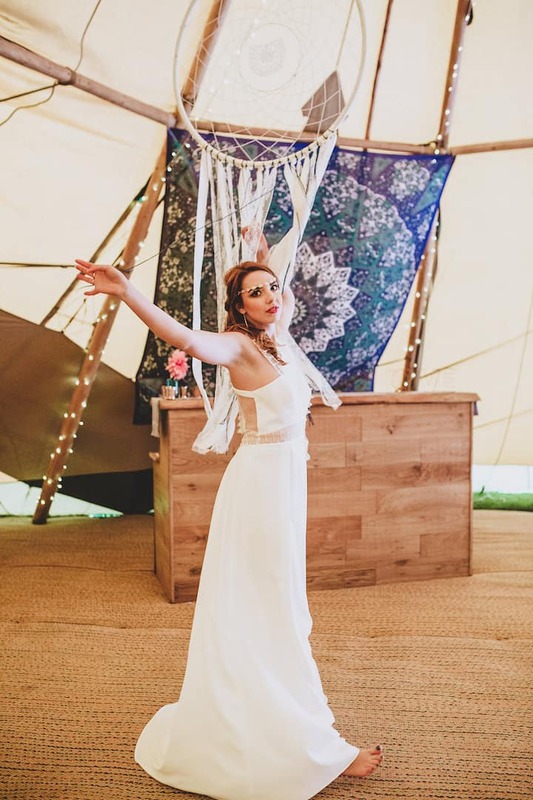 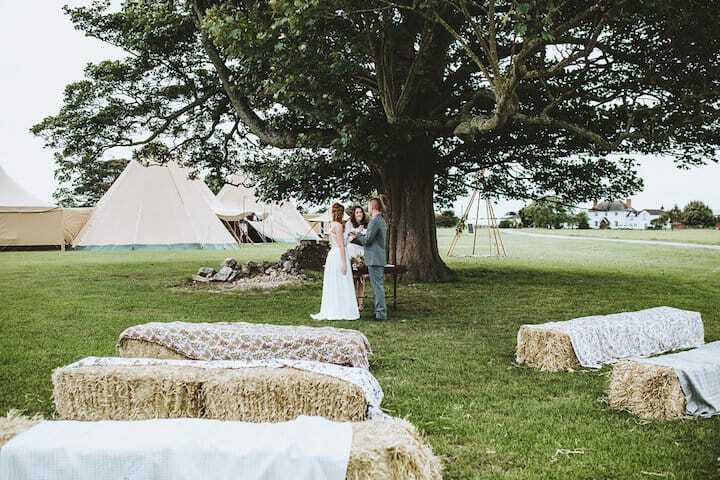 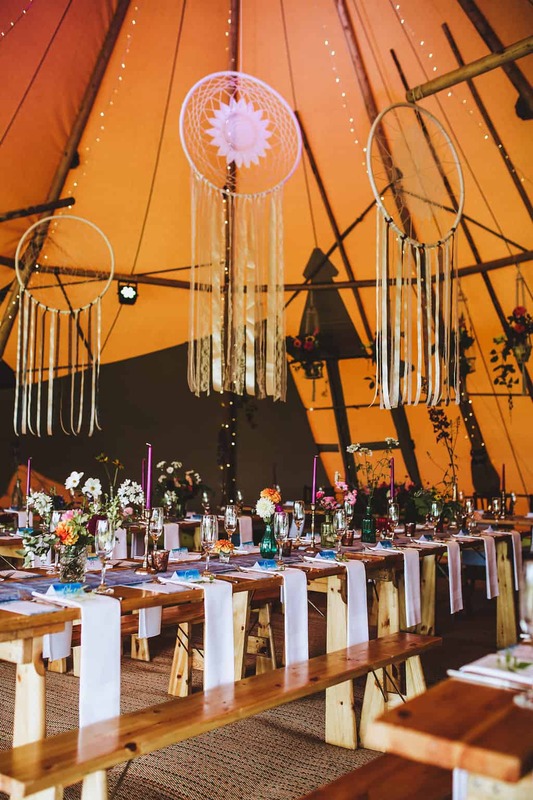 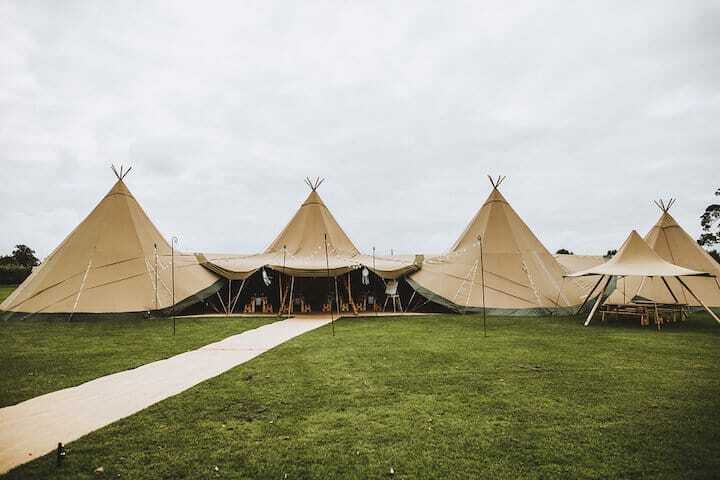 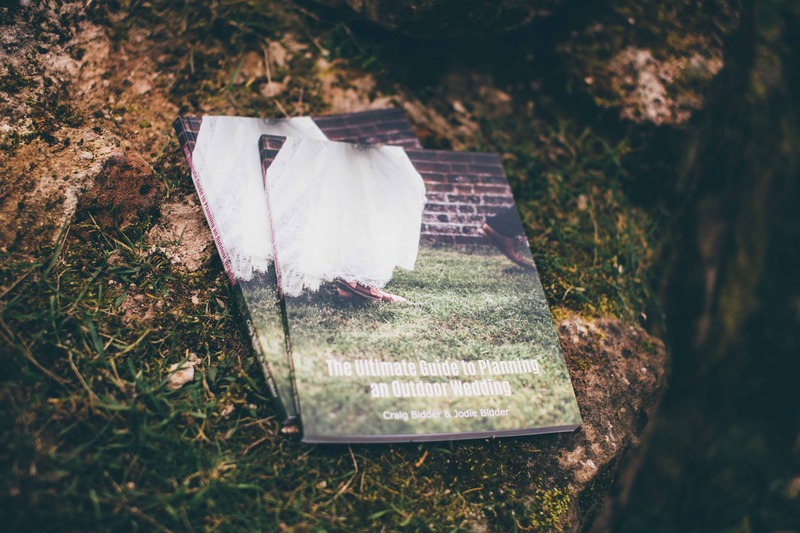 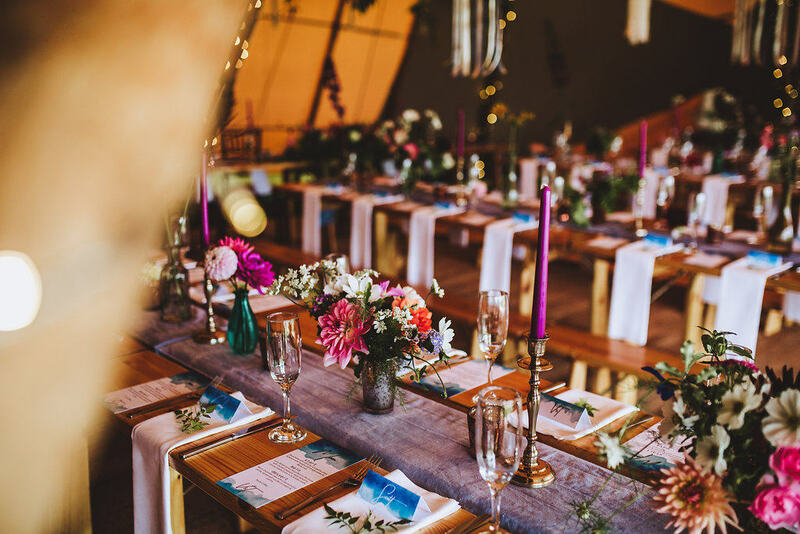 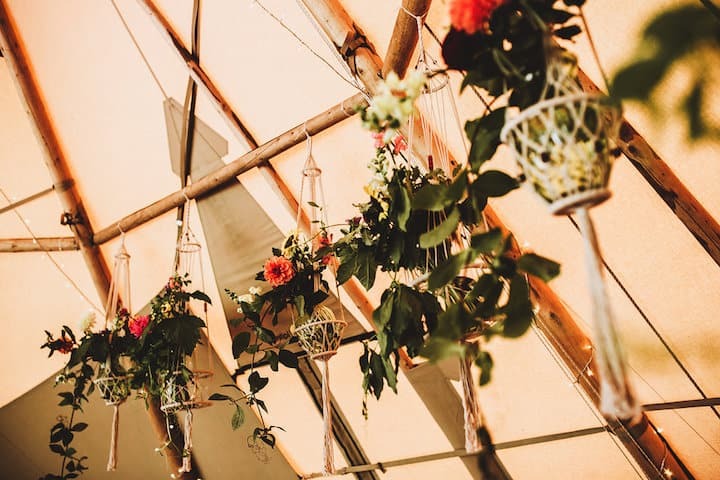 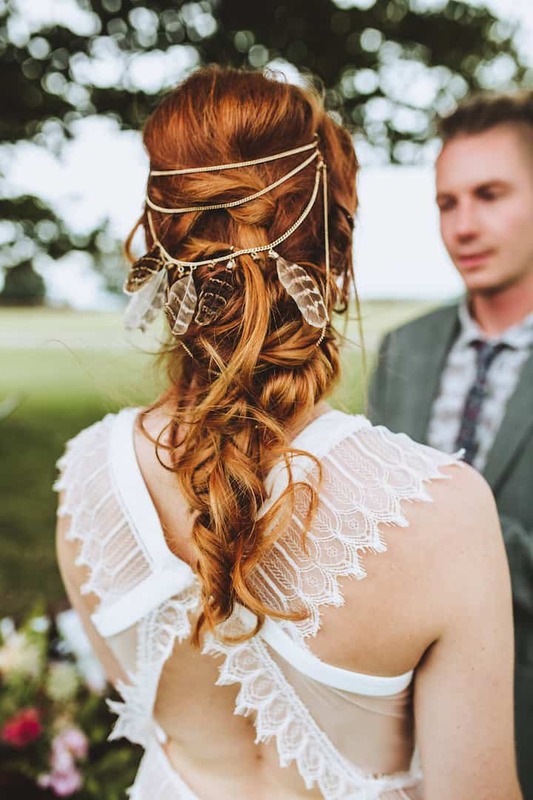 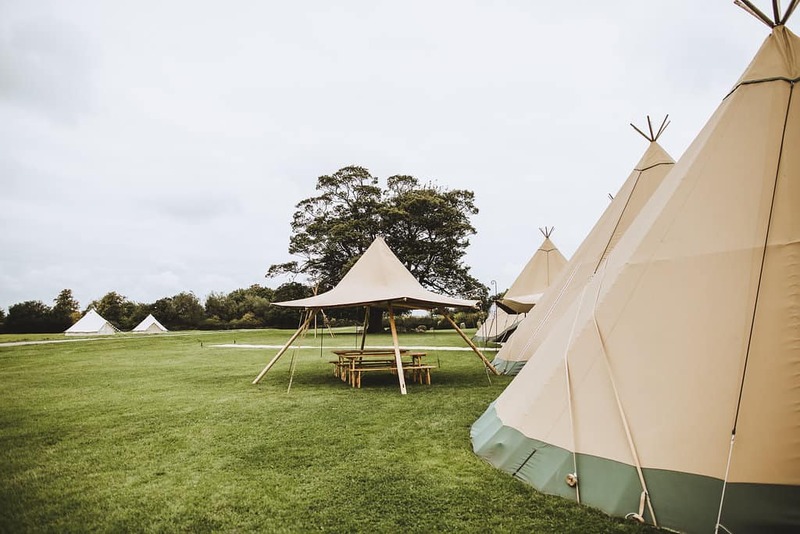 Cathy from Boelle events was super excited to be working with us and we gave her free rein to style the tipis with the only description being we’d like to create something very boho and boy did she deliver. 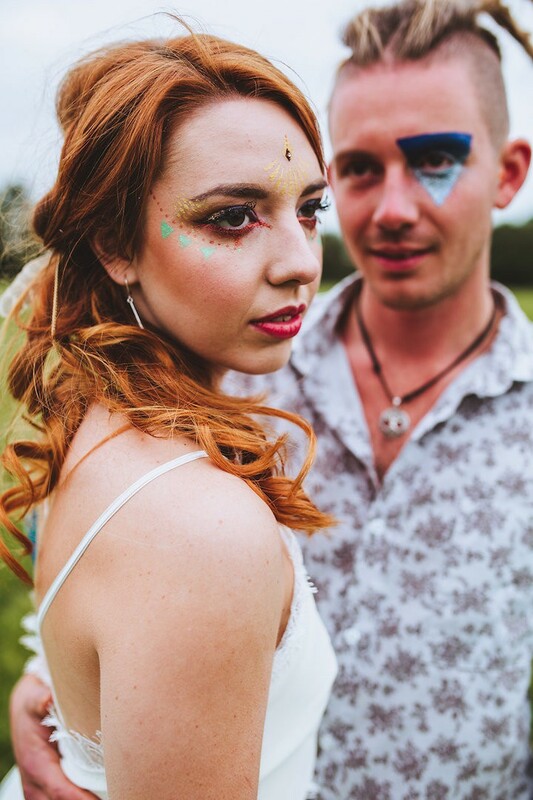 The shoot was so relaxed. 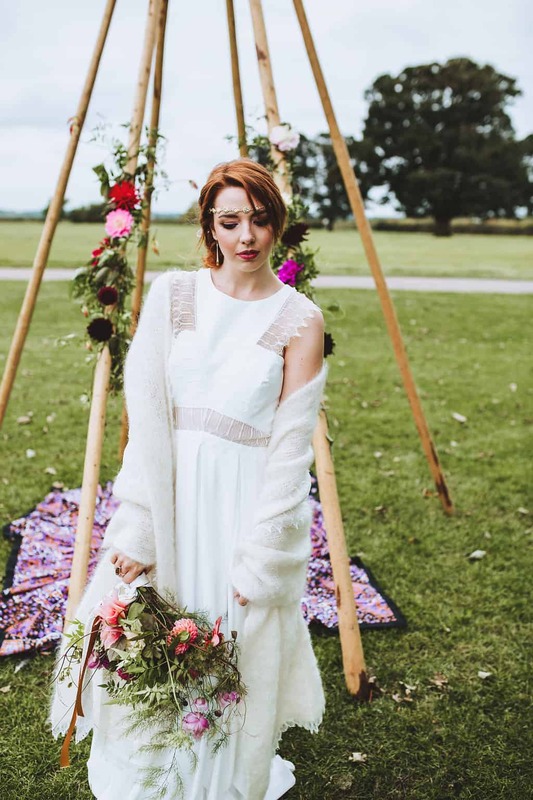 The styling team gathered around the open fire place chatting whilst letting Frankee Victoria Photographer work her magic with the camera and models. 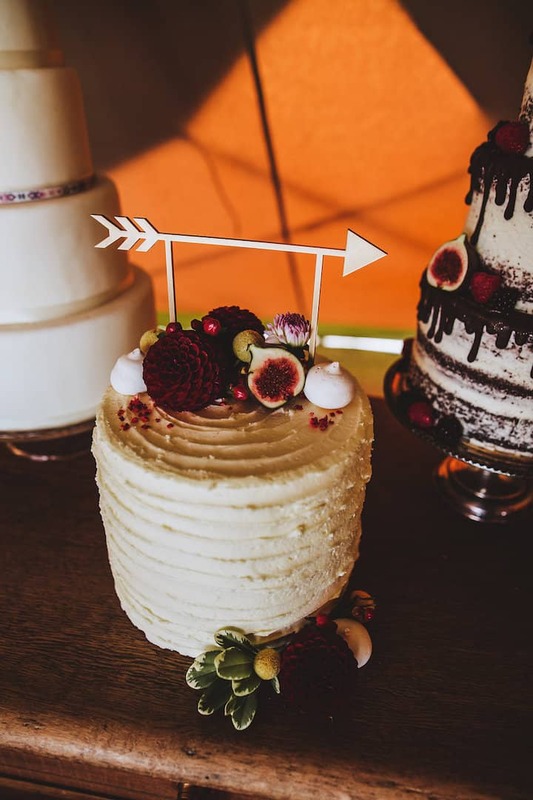 The results are stunning, and all the little detail was loved by all who attended our open event the following two days. 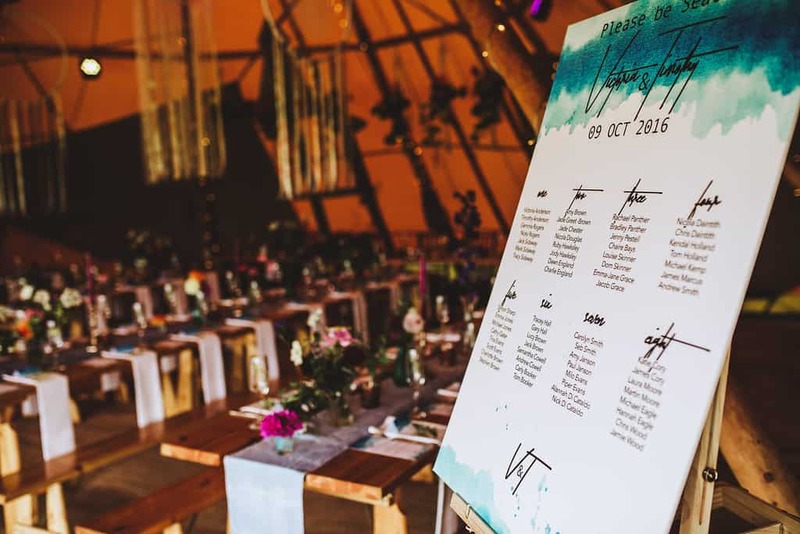 This year we have a calendar full of inspirational events. 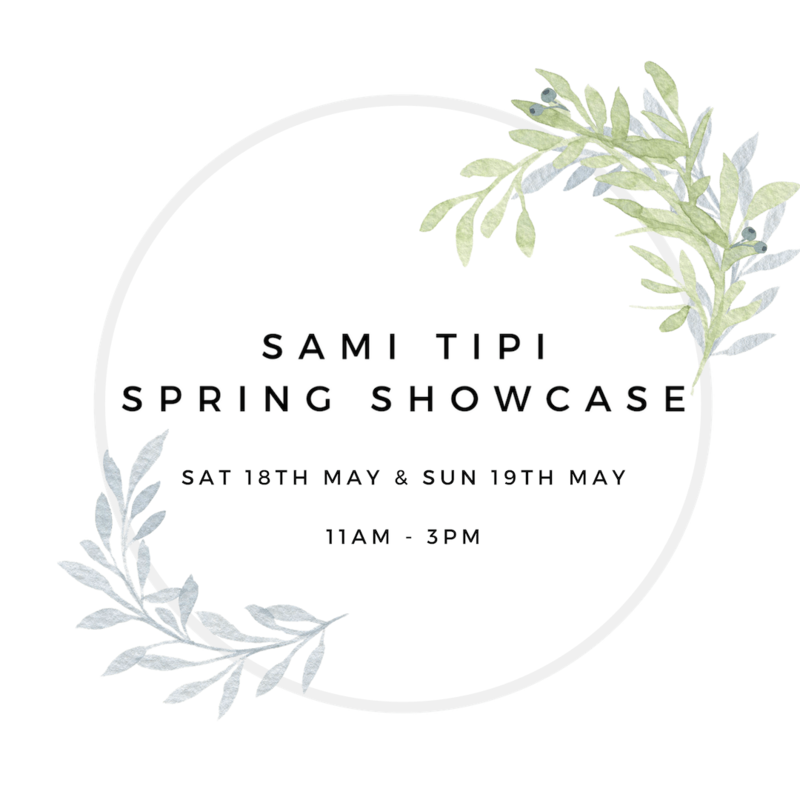 If you want to keep up to date with what is happening at Sami Tipi, just pop your name and email address below and we will keep you posted.